Is the Mad Titan about to come to blows with World Breaker Hulk? That’s the latest theory doing the rounds on the web, as fans furiously discuss the evolution of Bruce Banner beyond Infinity War and where Avengers: Endgame will find him. After all, Banner’s alter-ego certainly needs to up his game if he’s to reclaim his title as the strongest Avenger. With that in mind, maybe an evolution into World Breaker Hulk is on the cards? It would definitely make up for the character’s lack of screentime during Infinity War, but for now, all we can do is speculate on what the Russos may have planned. That being said, it does indeed look like we’ll be getting that Hulk and Thanos rematch we’re all so desperately craving. As you can see in the gallery down below, we’ve got a Funko POP! 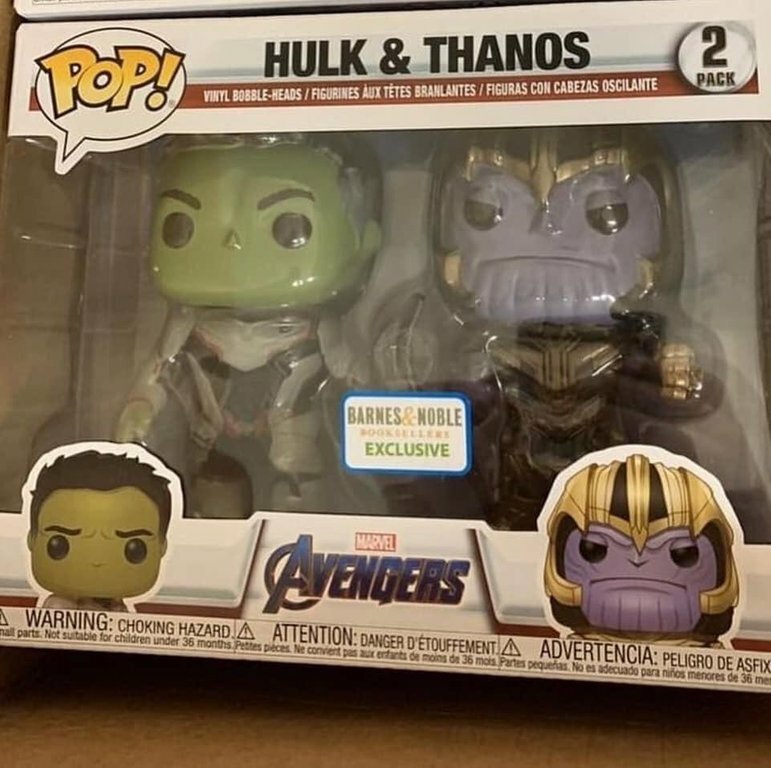 2-pack which teases the fight we’ve been waiting a year to witness, and though toys aren’t always accurate when it comes to what we’ll see in the film itself, we’ve got a pretty good feeling that these two characters are packaged together for a reason. As for how the Hulk will even return in the first place, well, that we can’t say. However, one common theory is that Thanos will attack Avengers HQ and Bruce will be inside the base when it happens. Given that he’ll be pretty much defenseless if he stays in his human form, the attack on the compound might force Hulk’s survival instincts to kick in, which leads to him putting his issues aside and emerging once more in an effort to save Banner. Again, though, that’s just speculation for now, but however it ends up happening, we’re almost certain that the big green guy will return in Avengers: Endgame and when he does, the Mad Titan’s going to have one heck of a fight on his hands.